The wall shared by the Butler’s Pantry and kitchen was widened and centered to allow gracious movement between the two spaces. 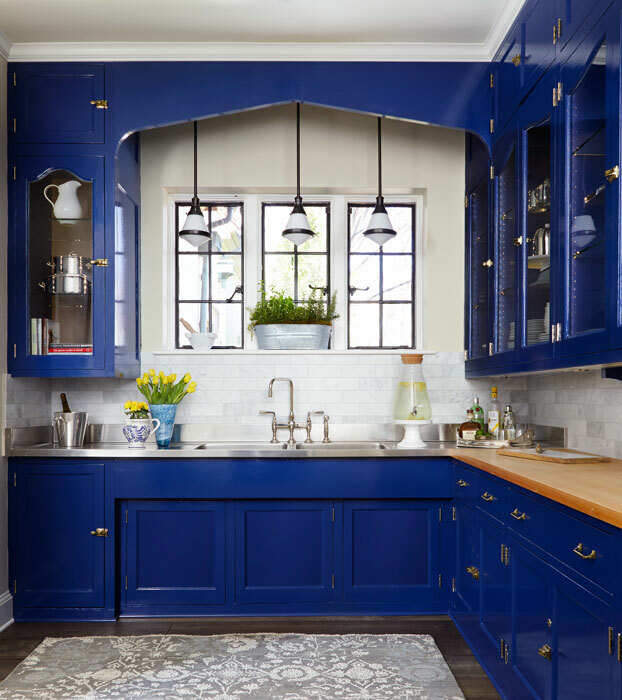 The original cabinets in the Butler’s Pantry were preserved and updated with glass shelving, LED lighting, and fresh, glossy paint. The Carrara marble backsplash is timelessly handsome and offsets the other finishes in the room. Colors and textures in the Butler’s Pantry are a perfect transition from the kitchen to the formal dining room.